Chicago, 1944. Liz Stephens has little interest in attending a USO club dance with her friends Betty and Julia. She doesn't need a flirtation with a lonely serviceman when she's set to marry her childhood sweetheart. Yet something happens the moment Liz glimpses Morgan McClain. They share only a brief exchange--cut short by the soldier's evident interest in Betty--but Liz can't forget him. Thus, when Betty asks her to ghostwrite a letter to Morgan, stationed overseas, Liz reluctantly agrees. Beautifully rendered and deeply moving, Letters from Home is a story of hope and connection, of sacrifices made in love and war--and the chance encounters that change us forever. Kristina McMorris is an award-winning author and graduate of Pepperdine University. She lives in the Pacific Northwest with her husband and two sons. Letters from Home is her first novel. This book was a great smooth read, you felt yourself being dragged into the trenches with the characters. I felt like I was along side Morgan and what he was facing in the war zone. Also felt like I was right along side Liz and her choices she was making. This is a great fresh read into our history. Really showed how the war affected so many and how women survived with so much turmoil. 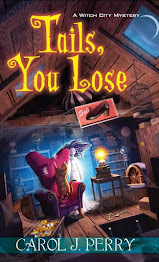 Definitely will be looking for more books by this author she has really hit on something great and wonderful. Her ability at story telling was amazing. I was actually surprised how engrossed in this story I got so quickly. Which is something most books are lacking. Most of them have dead areas, and this story didn't I was captivated wanting to see how it played out. It definitely showed how the War grew young adults up in a rather quick motion. And how what we plan isn't always what transpires things happen, choices are made and not the ones we plan. I can only imagine her parents love story was as great as Liz and Morgan's. Kristina McMorris has definitely turned me onto reading this period type work. As generally I surpass it as too much blood shed and horror, but she has given it a romantic spin, of how kids were and how they dealt with life challenges. I rate this book as 5 stars as never has a novel grabbed me like this one. It grabbed me sucked me in, held my emotions and gave me tons of insight. I will be checking out any and all work by this Author. Way to go your story rocks. I couldn't even put it into words how great it was! With the Beauty Killer Gretchen Lowell locked away behind bars once again, Archie Sheridan -- a Portland police detective and nearly one of her victims -- can finally rest a little easier. Meanwhile, the city of Portland is in crisis. Heavy rains have flooded the Willamette River, and several people have drowned in the quickly rising waters. Or at least that's what they thought until the medical examiner discovers that the latest victim didn't drown: She was poisoned before she went into the water. Soon after, three of those drownings are also proven to be murders. Portland has a new serial killer on its hands, and Archie and his task force have a new case. Reporter Susan Ward is chasing this story of a new serial killer with gusto, but she's also got another lead to follow for an entirely separate mystery: The flooding has unearthed a skeleton, a man who might have died more than sixty years ago, the last time Portland flooded this badly, when the river washed away an entire neighborhood and killed at least fifteen people. 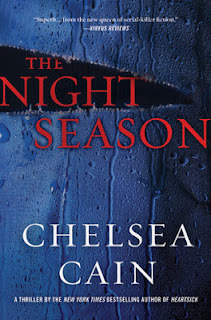 With Archie following the bizarre trail of evidence and evil deeds to catch a killer and possibly regain his life, and Susan Ward close behind, Chelsea Cain -- one of today's most talented suspense writers -- launches the next installment of her bestselling series with an electric thriller. This book was sent to me via FSB Media for a honest and fair review. 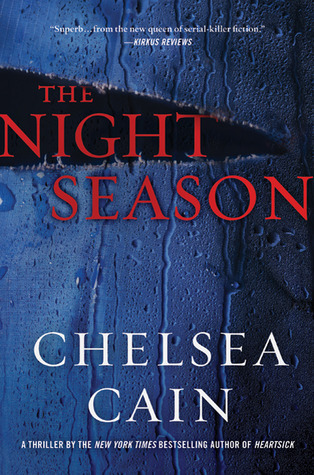 This book definitely had you really hating the rain that kept falling as the bodies are piling up and you find yourself wanting to find this killer to give them a dose of reality. You find yourself bouncing between the detective and reporter. The only references to Beauty Killer Gretchen Lowell are memories Archie has from his time being tortured by her. Susan Ward has a close relationship with the cops in this local town, spending more time there then at her job. You also see the damage that can be brought on by a serial killer like Gretchen Lowell how she screwed up Archie's head. Definitely a great series, lots of action and thriller appeal. 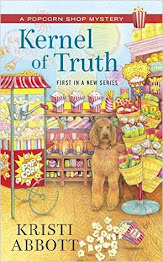 I will be looking for more by Ms. Cain her style of writing is great and easy flowing chapters.